Is it possible to have rising real estate sales at the same time as rising inventory levels? Obviously, it is possible as Southwest Florida real estate inventory rises as sales grow in March. Most people equate rising inventory levels to lower sales which is usually what leads to the rising levels in the first place. However, in years past I can think of a few scenarios where this absolutely wasn’t true. I remember back in the late 80’s and early 90’s talking about a subdivision called Eagle Ridge. Back then we had discussions that every 3rd home in there was on the market. Sales weren’t frequent enough to work down that inventory so it stayed relatively constant back then at every 3 houses on the market. Fast forward to years later and there were very few sales and almost no homes on the market. When one did come on the market buyers would ask if it was a tough neighborhood to sell in because there were no sales. The reason there were no sales prior to that is because there was no inventory to sell. Had there been inventory we would have sold them all. This is an example of one subdivision at two points in time. It had few sales, for very different reasons. One was because of too much inventory and one was because of too little inventory. You can’t always read too much into inventory levels. This metric must be considered in perspective. 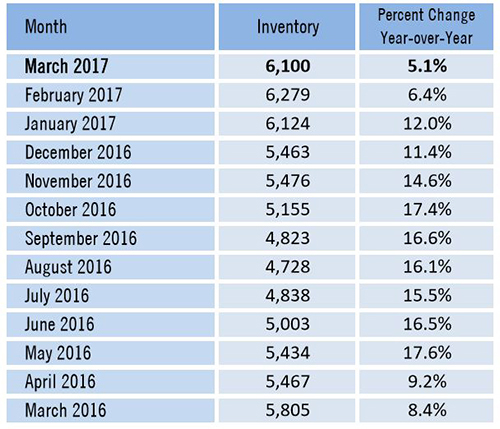 In March inventory levels grew to 6,100, a 5.1% increase over last year. 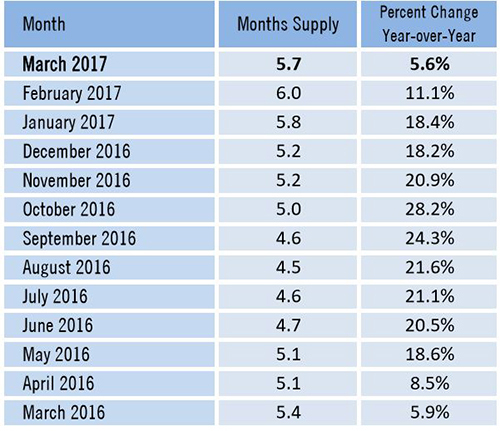 Month’s supply of inventory grew to 5.7 months, which was a 5.6% increase over March 2016. We don’t get too excited about any one month numbers. We like to look at market trends. As you can tell from last week’s article, sales were up 18.1% in March and average sales prices were up 19.1% The Southwest Florida real estate market is strong if the seller has priced the property correctly and it is marketed to the buyer. Today’s sellers want top dollar. Today’s buyers just want to buy a home and pay fair market value. These are not mutually exclusive. We’ve been selling homes at full price in many cases. The buyer is happy to land a nice home and the seller is happy because they got more money than their neighbors. So why is it that some sellers get top dollar and some do not? We believe it’s a combination of things. Price, condition, and market exposure. If an agent tells you that marketing doesn’t sell homes, you should call us. Marketing absolutely sells homes. It sells cars, homes, and everything else. There is a reason a certain auto dealer sells more cars than anybody else. It’s because he advertises more. There’s a reason our team sells homes for top dollar. It’s not because we price them lower. We price our homes for all they’re worth. The reason our sellers receive more in their pocket at closing is because we expose their home to more people with more frequency than other agents. You’re reading this article right now. Perhaps you see our weekly newspaper ad, or our online ads. Quite possibly you watch our videos, tour our 360 degree home tours, or receive targeted ads for a specific property we’re marketing. Chances are you see our ads and you don’t even realize you’ve been targeted. When we list a property, we don’t just sit back and wait for agents in the MLS to hopefully bring a buyer. We don’t give your property away. If we guaranteed a sale simply because you were priced under the market, we wouldn’t be getting you top dollar, would we? Anybody can give a house away. That’s not selling, that’s taking the low hanging fruit. If you have a property to sell, always call the Ellis Team 239-489-4042 Ask for Sande or Brett. We’ll show you what full market exposure looks like and help you get Top Dollar. We’re your Top Dollar Realtors. 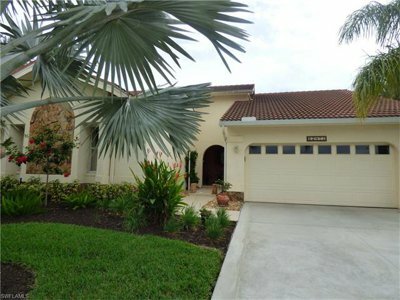 Posted in Cape Coral, Cape Coral Real Estate, Fort Myers, Fort Myers Beach, Fort Myers Real Estate, Open House, Southwest Florida Real Estate.Tagged 12781 Kelly Sands Way, Ellis Team open house, Kelly Greens, Southwest Florida Real Estate Inventory Rises.